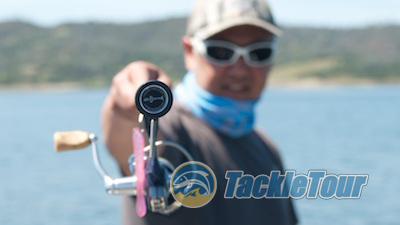 Introduction: G-Rods International is the latest "wonder brand" when it comes to something new and exciting in the fishing rod marketplace. The company has done well so far in our two reviews on their Pro Bass Series and we broke the news on the availability of their brand new Game Changer rods. But before we change focus to their new series, we have at least one more Pro Bass stick to evaluate. 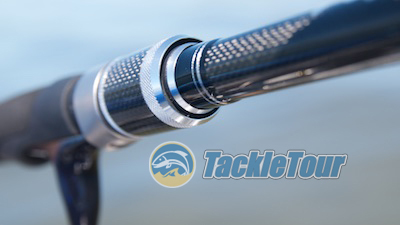 Here's our look at G-Rods International's Pro Bass BA-611ML-1S spinning rod. Taking another tour with G-Rods International. Impressions: The BA-611ML-1S is a six foot eleven inch (6'-11") stick built on the company's own blank rolled with the proprietary graphene/toray carbon secret blend of materials. The first thing you notice holding this stick in your hand is how light it feels because at just three point nine (3.9) ounces, it is light, but also because it's incredibly well balanced. 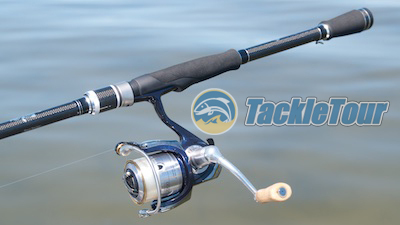 This time with their 6'11" Pro Bas spinning rod. The stick has very sleek, JDM-esque stylings to it with a decorative reel seat lockring featuring a graphite inlay together with very tasteful aluminum accents. This stick features a split rear grip made of EVA foam and a full array of Fuji Ti/SiC tangle free K-Guides. A look at the rod's EVA foam grip. Real World Tests: I paired this rod with my old school, JDM Daiwa Certate 2000 spooled with 6 lb Sunline Supernatural monofilament and took to some of our local waters for some real world tests. The sleek styling of our BA-611ML-1S. Casting: As noted on all the G-Rods International sticks we've sampled thus far, the BA-611ML-1S is no slouch when it comes to casting. It loads very efficiently and releases that energy in a very sensible, predictable method. There's no getting used to the way this rod feels in a cast because it just casts correctly. It's stated lure weight range is one sixteenth of an ounce to one half an ounce (1/16oz - 1/2oz) and I feel that range is pretty accurate. I used this rod exclusively in drop shot applications, so I only really ever tested the low end of this rod's rating. Sensitivity is very good with this rod. Sensitivity: Where this rod shines is in its sensitivity. 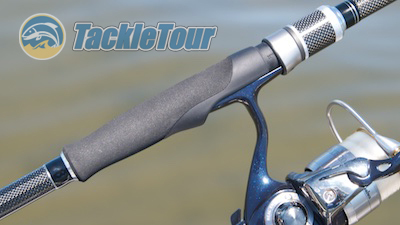 This rod's realistic power rating is medium-light and as our RoD Deflection chart illustrates, this is pretty accurate. Normally, for true finesse techniques like drop shotting, I prefer anything between an ultra-light to light powered stick. 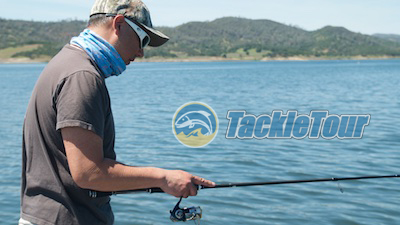 The closer you get to medium power, the more you begin to lose in the sensitivity department and sensitivity is key when fishing techniques like drop and split shot.